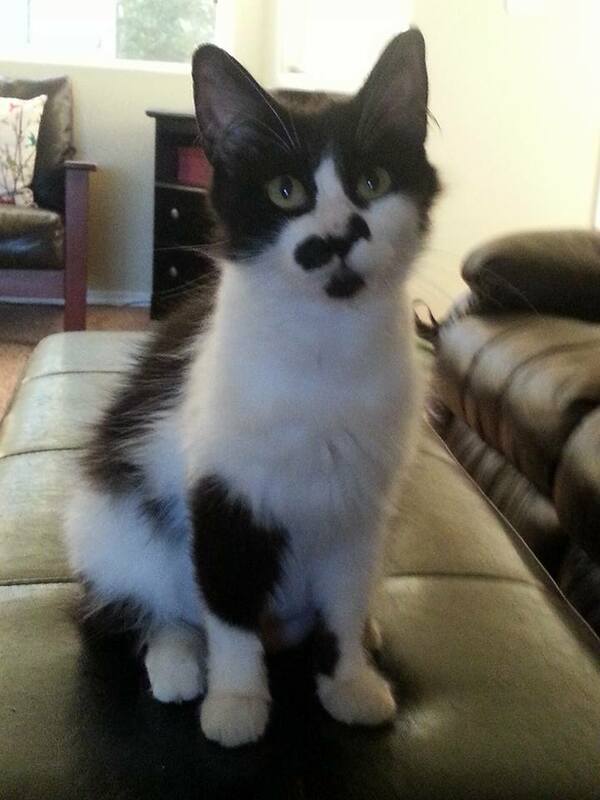 Hi, my name is Mittens, I’m only 9 months old, but had a lot happen to me already. Sadly, my owner passed away when I was only 1 month old and I had to live outside with other kitties belonging to the same owner. When I was just 7 months old I had a litter of kittens and at that point I was taken in by a neighbor lady who wanted to keep me, but unfortunately her cats and I don’t get along, so I need a new forever home where I will be the only cat or the first cat. Although I’m a little shy around strangers, I’m very sweet, affectionate and love playing with kids! I’m spayed, microchipped, treated for parasites and vaccinated. I love talking to my humans when they talk to me. I’m pretty mellow and low-maintenance. I love outdoors though I haven’t been outside in the last couple of months. If you’d like to take me home, please fill out an application and contact Julia at ulia_peterson@yahoo.com.